Page load time is one of the most important aspects of your eCommerce success. Why? If your website doesn’t load in 3 seconds, 70% of your customers leave. They will not give you another chance. This makes optimization a crucial part. 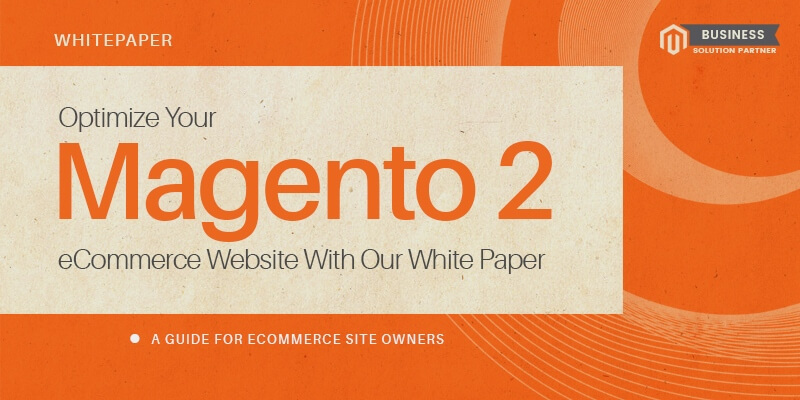 If your website is running on Magento 2, it’s extremely easy to optimize it to improve the page load time by 1 whole second and our White Paper tells you just that. And a couple of other techniques that our in-house certified Magento 2 developers resort to when optimizing our client’s Magento 2 stores. eCommerce site owners and admin will greatly benefit with this White Paper as most of the techniques are explained in a step by step manner and can be implemented without developer support. Take advantage of these valuable information and improve your site’s loading time now!